Can You Finish This 3kg Plate of Chicken Rice? 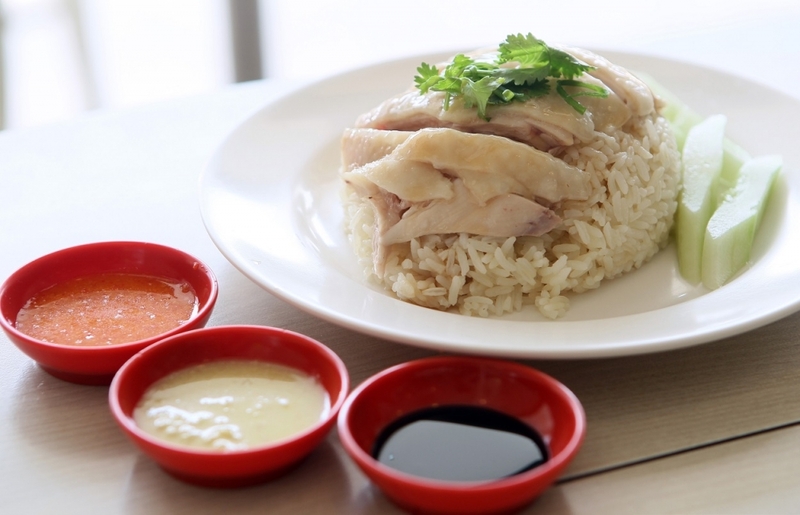 Although wildly popular in Malaysia and Singapore, chicken rice can also be found in Thailand, Vietnam, and Indonesia. One restaurant in the Thai capital city of Bangkok, however, has taken its chicken rice dish to the next level. Sri Leung Pho Cha Na, a humble food stall in the bustling metropolis, serves up an extraordinarily monstrous version of the dish which weighs at least three kilograms. It comes with one kilogram of either steamed chicken or fried chicken piled on top of two kilograms of fragrant and fluffy white rice. The ginormous serving can easily feed 10 people. The best part is you can stuff yourself with chicken rice for absolutely free – that is, if you can finish every last grain in an hour. If you are unable to, then prepare to cough up THB550 (US$17.30) to pay for it. One petite Japanese lady from Kanagawa, Japan named Miho Yamakoshi completed the challenge in just over half an hour. She was the 19th person in the history of Sri Leung Pho Cha Na to have done so. Meanwhile, Malaysian traveler Rainbow Kumi set a new record in August 2018 when she completely wiped out her chicken rice in 11 minutes. Think you can do better? Head on over to Sri Leung Pho Cha Na to take up the challenge the next time you are in Bangkok. Address: 45 6-7 Saliratthawiphak Rd, Khwaeng Samsen Nai, Khet Phaya Thai, Krung Thep Maha Nakhon 10400, Thailand. Opening hours: 8am – 3:30pm daily.